Menstrual cramps accompanied with continuous throbbing and cramping pain is also known as dysmenorrheal. Women’s uterus contracts to help expel its coating amid the menstrual period. Hormone-like substances called prostaglandins, which is involved with pain and inflammation, induces the uterine muscle contraction. Higher amounts of prostaglandins along these lines are related to severe menstrual issues. For a few ladies, their cramps may even intrude with their daily activities. To help you out with these menstrual cramps here are five effective and successful period cramps home remedy also there are many superfoods that can reduce PMS symptoms as well as period cramps. In case your pain doesn’t reduce or subside after attempting these remedies, check with your specialist to ease this problem. There is not much research on natural teas for menstrual pain relief, but traditionally in some cases, herbal teas have been utilized to ease the pain, since some herbs contain a substance similar to estrogens. One example of a natural beverage that people use for menstrual cramp is cramp bark and Chamomile tea. Tea with peppermint oil may also help. 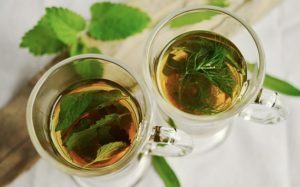 To prepare herbal tea with cramp bark, add two teaspoons of the cramp bark in some water, stew for around 15 minutes, and drink it three times a day for better results. Chamomile tea possesses natural anti-inflammatory properties. Anti-inflammatory properties help in reducing the prostaglandin production, hence soothing menstrual cramps. A report published in the Journal of Agriculture and Chemistry found that there may be pain relieving properties in the chamomile tea. Note: Check with your specialist first before consumption, specially if you have been suffering from hormone-related cancer or are taking blood-thinning medication. Dietary magnesium appears to help in soothing the menstrual cramps. 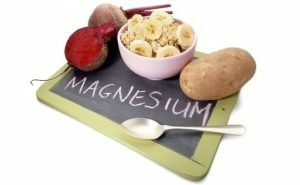 Magnesium is found in numerous food sources and can be taken as an additional supplement by people who are deficit in it. Magnesium directs and controls nerve and muscle working, among other crucial functioning. Specialists who have studied magnesium consider it as a promising treatment for menstrual issues. The suggested dietary intake of magnesium for women of childbearing age is around 320 mg per day. An ounce of dry almonds or one cup of spinach has about 80 mg.
Heat pads are one of the best period cramps home remedy. Warmth loosens up the contracting muscles in the uterus, which is the reason for the cramps. There are numerous over-the-counter warming pads and patches, like Bengay, ThermaCare, or electric, reusable ones. You can also fill the plastic jug with warm water and applying it to your midriff area for a soothing experience when you don’t have access to heating pads. Another natural method for relieving menstrual cramps is taking fish oil supplements, Vitamin B1 and Vitamin D. Ensuring your body has enough vitamin D is vital in reducing menstrual cramps. An examination found that high dosages of Vitamin D3 prompted a significant decrease in menstrual cramps. In a study, researchers assigned the consumption of B1 and fish oil, B1 alone, fish oil alone, and placebo to 240 women with menstrual cramps. The women took 100 milligrams (mg) of B1 and 500 mg fish oil supplements every day. 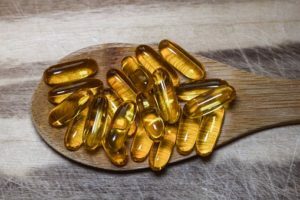 At the point when the women reported their cramps, those taking either the fish oil, B1, or both had radically fewer issues of pain and inflammation due to menstruation than the women taking the placebo. The pains subsided if they took fish oil, Vitamin D or B1. Acupuncture therapy is a part of conventional, traditional Chinese treatment, which includes sticking the skin with little needles to stimulate the body at specific focuses. 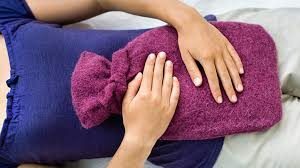 Acupuncture can help in soothing the menstrual cramps by loosening up the nervous system, which causes increasingly strong blood flow to the reproductive organs. The traditional Chinese therapy is likewise thought to have a mitigating impact. 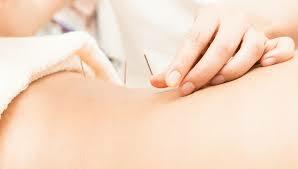 Specialists found that the acupuncture treatment may positively affect menstrual issues. A research was conducted in the form of ten trails with 944 women. They found that both acupuncture and acupressure aided in decreasing pain, yet concluded that more assessment was required.